I've been working on some new things this week, and I think they'll find their way to the shop in another week or so. 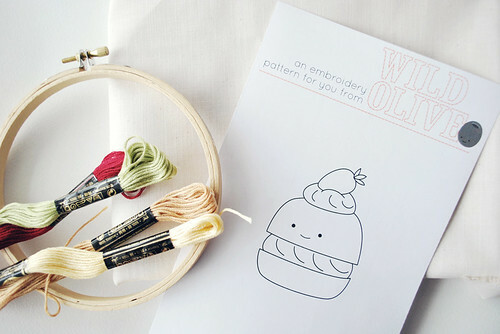 Among the new items are a collection of Sweet Treats, and you can get one of the patterns free on Danielle's blog! Go visit her and her very sweet feature of me, and download a little cream puff. More peeks of things to come will be showing up here very soon!